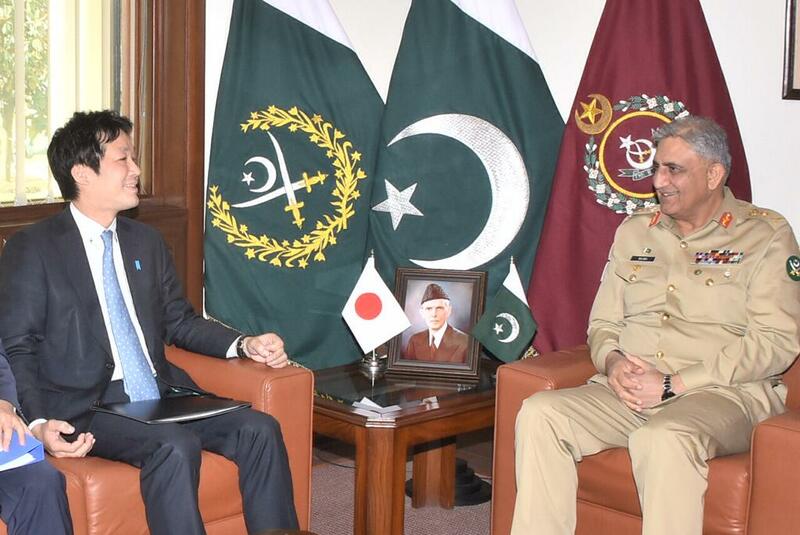 H.E Mr Kentaro Sonoura, National Security Advisor to the Prime Minister of Japan called on General Qamar Javed Bajwa, Chief of Army Staff (COAS) at GHQ, today. H.E Mr Kentaro Sonoura, National Security Advisor to the Prime Minister of Japan called on General Qamar Javed Bajwa, Chief of Army Staff (COAS) at GHQ, today. During the meeting matters of mutual interest including bilateral security cooperation and overall regional situation were discussed. The worthy guest fully supported for the peace in Afghanistan through political reconciliation.